Becoming a member of a gym or signing up for classes at a studio is one of the most important steps someone can take on their fitness journey, and it certainly isn’t easy. As a studio or gym owner with new clients under your wing, the question is - now what? At this stage of the game, your clients’ happiness is crucial. Here’s how to keep your new members excited, engaged, and feeling at home at your facility. Walking into a gym or studio for the first time can be very intimidating. New members can have a million questions running through their heads before even walking in the door. Where do I put my shoes and keys? Where do I check in? Can I fill up my water? This is where your front desk staff comes in. They are the face of your facility, and they are going to leave the lasting impression. Once your newcomers have been welcomed, this is a great opportunity to give them a tour of the space, answer any questions they might have, and generally ease their mind so they can enjoy the class. As humans, we crave connection, so acknowledging a new member will immediately help them to relax and feel at home. Pro tip→ Want to go that extra mile? Give new members a call or shoot them an email the night before their class. Let them know how early they should be there, what to bring, and any useful information they might need before they get there. Okay, so your new client finished their first class. What’s next? Check in with them. A friendly follow-up from your front desk before the student leaves is ideal. Asking how their class went or how their experience was is a great way for your staff to reconnect. People love sharing their opinions, and feedback is a great way for members to feel heard, while also giving you insight into your studio. This also shows new members that you (and the staff) take pride in your business and truly care about them. We’re pretty sure it’s a scientific fact that our eyes light up when we see the word “free”. Free food, a free month of rent, free this or free that - we like free stuff. When trying to implement some sort of free giveaway in your studio, you don’t have to get too crazy with it. A little goes a long way. For instance: "Complete your first five classes and get a free tank top!" or "Sign up for a membership between [time frame] and get a water bottle!". People love their swag, and it’s a great way to market your studio. 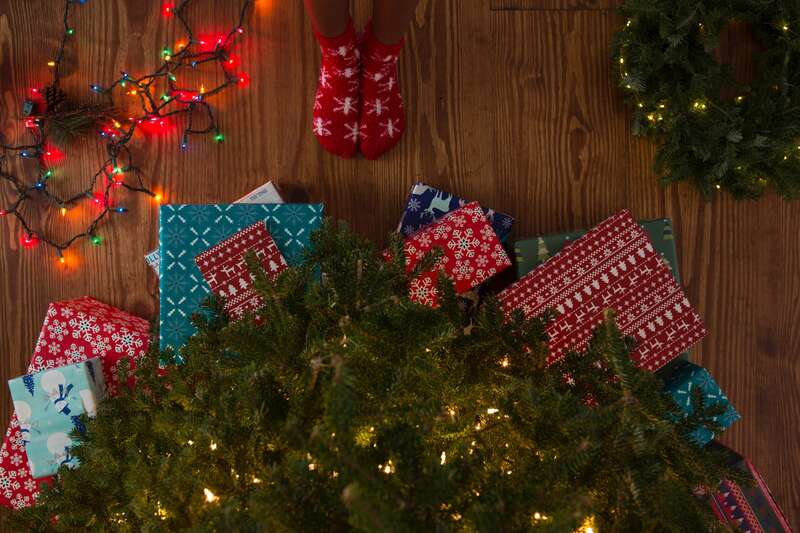 By gifting items to your members, you invite them to join your family. When members see someone else wearing the same tank top or using the same water bottle, it’s an easy way to connect with other members of your community. 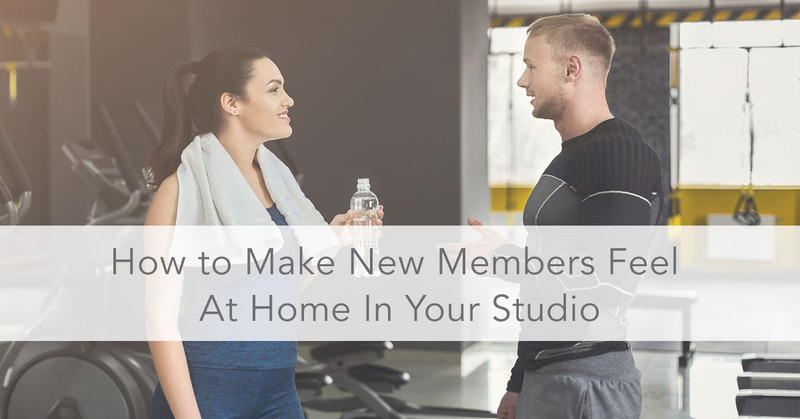 Offering top-notch amenities at your studio will not only set you apart from the competition but will also allow your new members to make themselves feel at home. Whether it’s a filtered water cooler for water bottle refills, an array of beauty products in the bathroom, or lavender towels at the end of class, people don’t forget perks On a real note, it’s also comforting to know that if you accidentally forget to bring your shampoo to your before-work vinyasa class, the studio has your back. Home is where your family is. Many people use their workouts as a time to decompress from their day. A welcoming community says a lot about a studio to a new member, and having a strong social media presence is one way to share your community. Encourage new members to find and follow you on social media. This way, they can stay up to date on what’s going on and feel connected to other members. Hosting members mingles and events for your members is another great way to strengthen your community. This gives people the opportunity to catch up with their fitness friends outside of the studio. Plus, nothing says welcome to the family like a good workout and brunch. We all know the power of first impressions, and with these tips and tricks, your studio is guaranteed to make a good one! People actively seek the comforts of home in their everyday life - why not make your studio feel the same way?